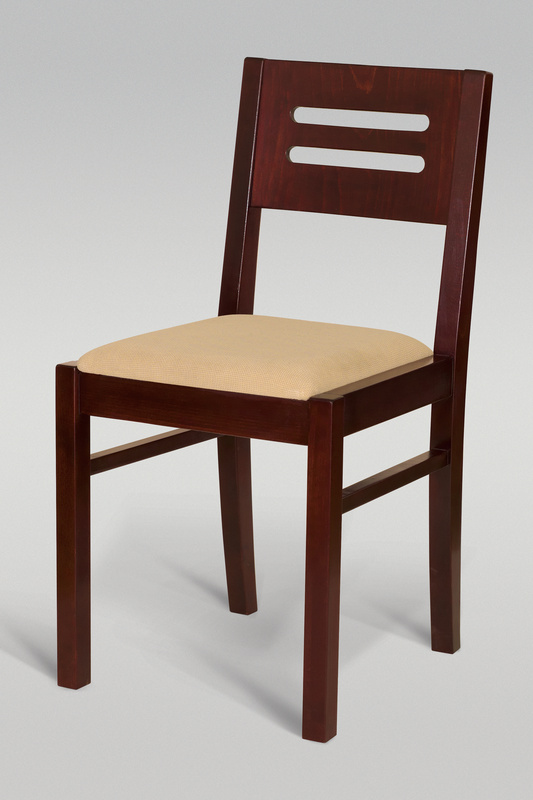 We offer an array of artful, functional furniture pieces to complement your convertible table. 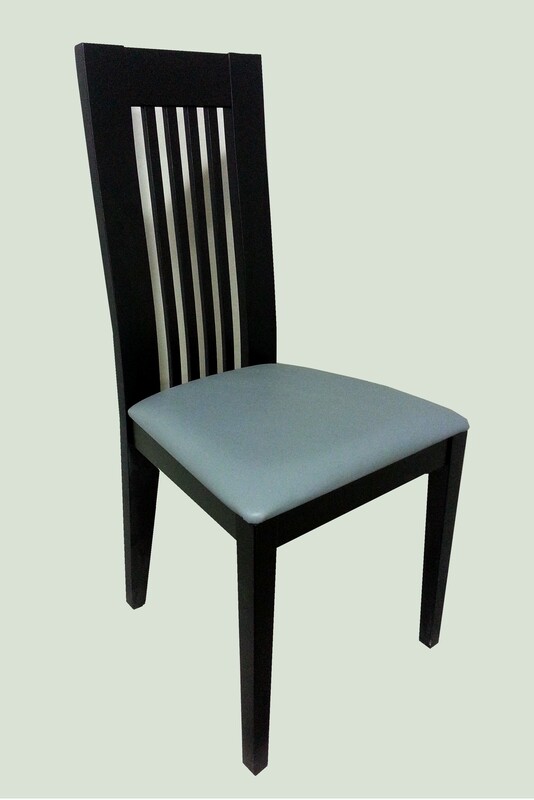 We offer chair designed specifically with our table designs in mind. 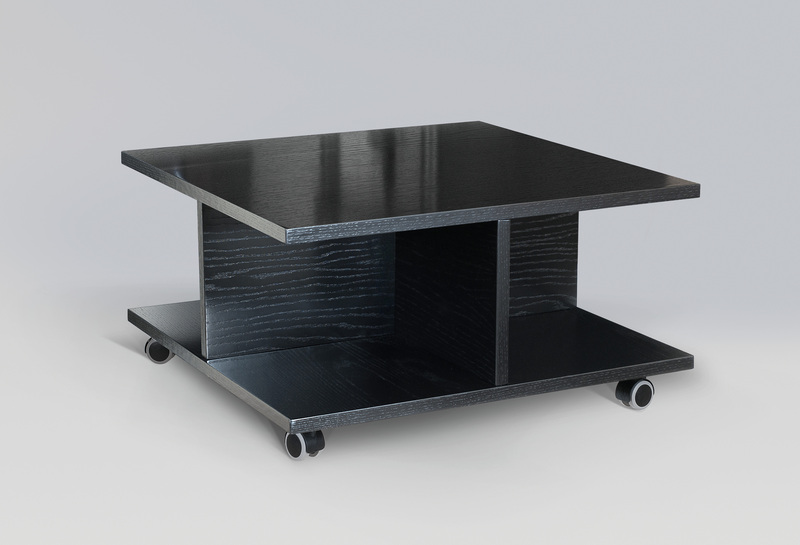 We also offer table top storage options ranging from a sleek credenza to simple carts. 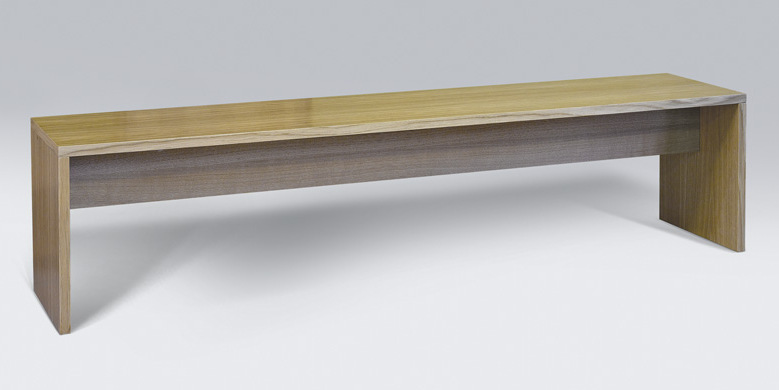 We also offer sleek cue stands. We stock standard colors as shown. Custom colors of stain and leather are available. To view stain and leather color options visit here. 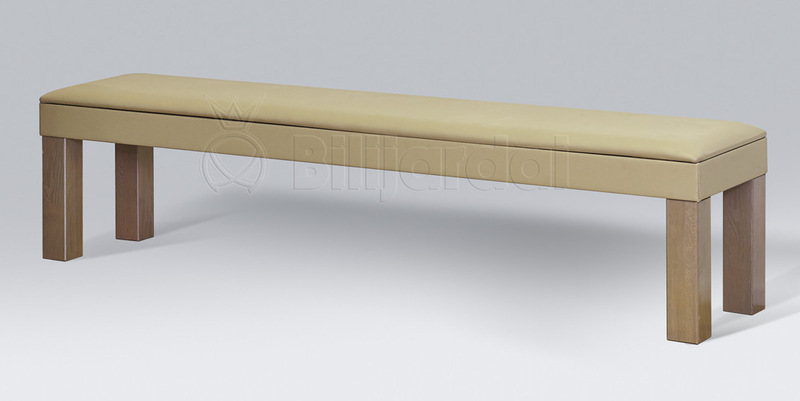 The Ultra cue stand is designed to complement Ultra convertible tables. 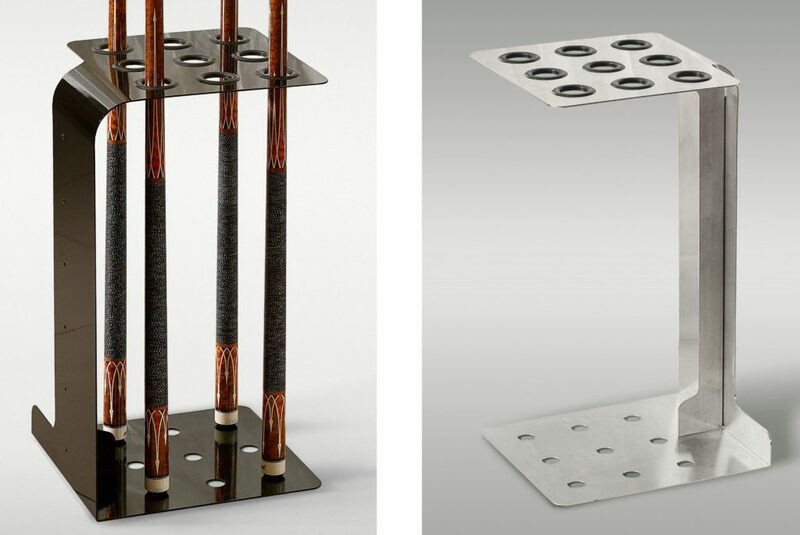 This sleek, gorgeous stand holds up to nine cue stick. We offer two color options: Ebony and Silver. 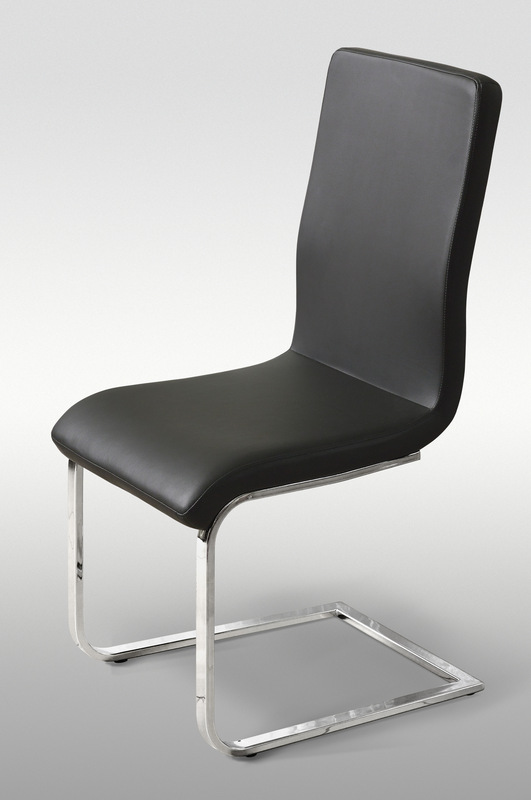 Sleek, modern chair perfectly paired with your Ultra convertible table for dining. See color options here. Simple, gorgeous wood and leather chair designed for dining at your convertible pool table. See stain and leather colors here. Clean, minimal wood and leather chair designed for dining at your convertible pool table. See stain and leather colors here. Leather bench with storage for dining with your table. See color options here. Leather bench without storage for dining with your table. See color options here. To complement your convertible table, we offer an exquisite modern and function commode that functions both as your standard multi-purpose commode and as a stand for your tabletop storage. A hidden stand pulls out from the rear of the commode and holds your table top during game play and easily slides back in and vanishes unbeknownst to guests while you dine. For custom stain color options visit here. Simple wood table top storage cart which can be place under your table while the table top is placed and can be easily slide out and accommodate the table top while you play billiards. See color options here. 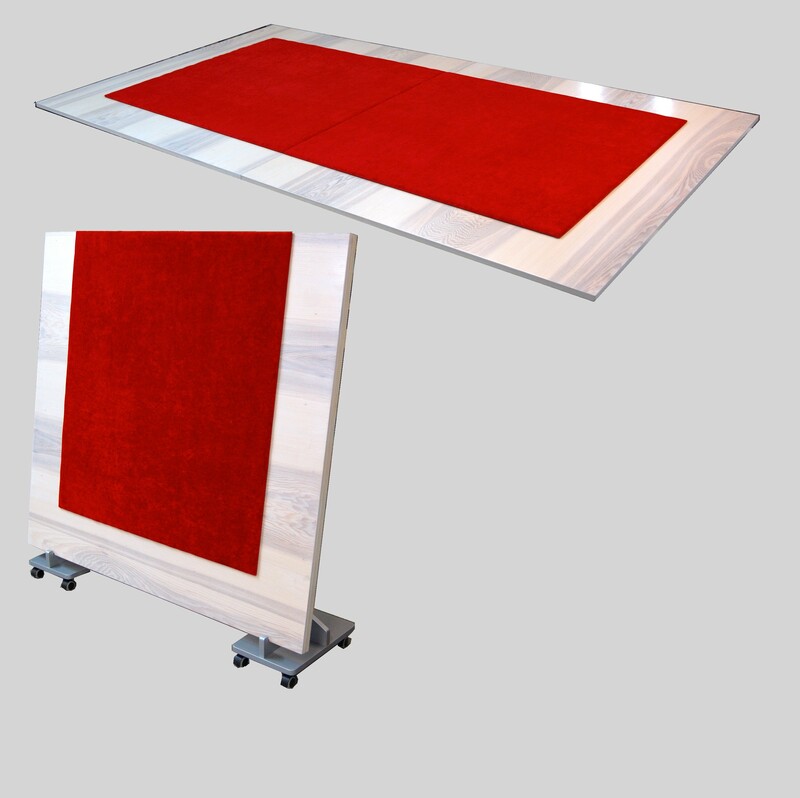 If you are looking for an economical way to hold you table top while you play billiards to avoid scratching your flooring, you have found it here. For a minimal cost, you can purchase a poker table top to go with your traditional or convertible table. 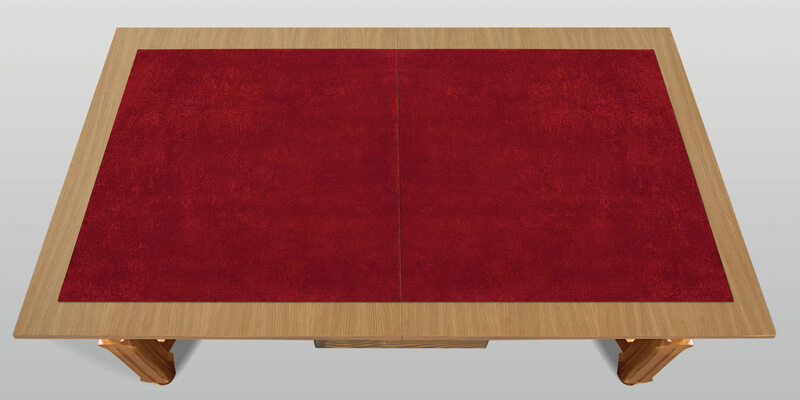 We offer a poker table top in red and green for minimal added cost that can be paired with any table.